This is the first and only class you are required to attend as an MLSListings subscriber. This powerful lecture-style course will jumpstart your effectiveness with your new MLS. You will learn how to conduct business, get support, stay out of trouble, and take advantage of the many benefits of your subscription. 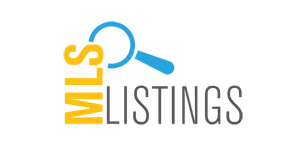 Whether you are brand new to real estate or switching from a different MLS, it is critical that you understand the cooperative nature of MLSListings and attend this class within the first 60 days of joining. In the first part of this class you will learn about compliance and cooperation practices within the MLSListings community. In the second part of the class, you will learn about tools available to access different data sets and courses offered to further your skills. Please arrive on time and ensure you are available to participate during the entire course. Anyone who misses more than 15 total minutes of the course will be required to take it again in order to receive credit.